New Commemorative Banknote from Nigeria of 100 Naira. The banknote was issued to mark 100 year existance of the country Nigeria. 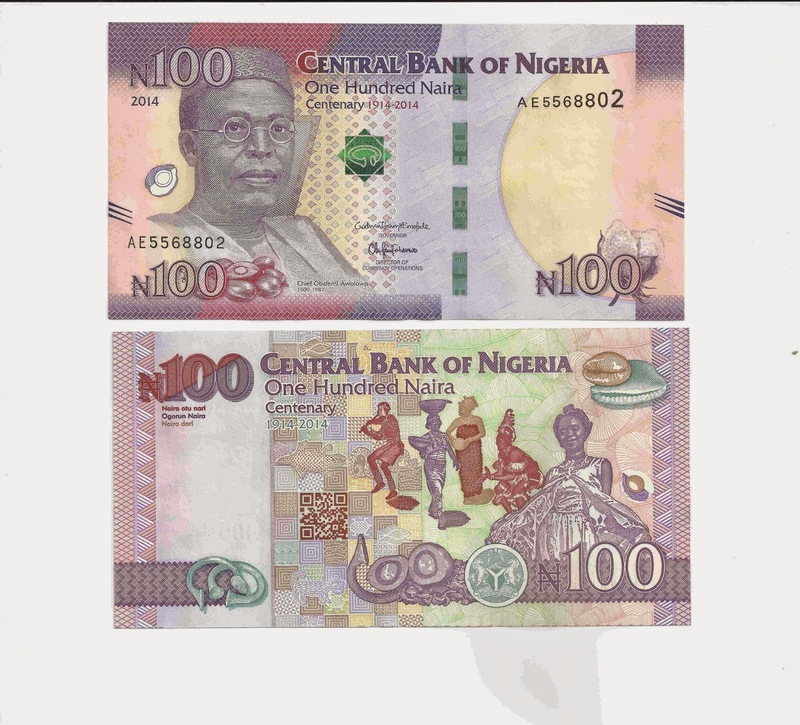 It is a a unique banknotes, as this is the first banknote in the world to incorporate a Quick Recognition Code into its design When scanned with an internet connected mobile phone, the code takes straight to a website which tells the story of Nigeria.